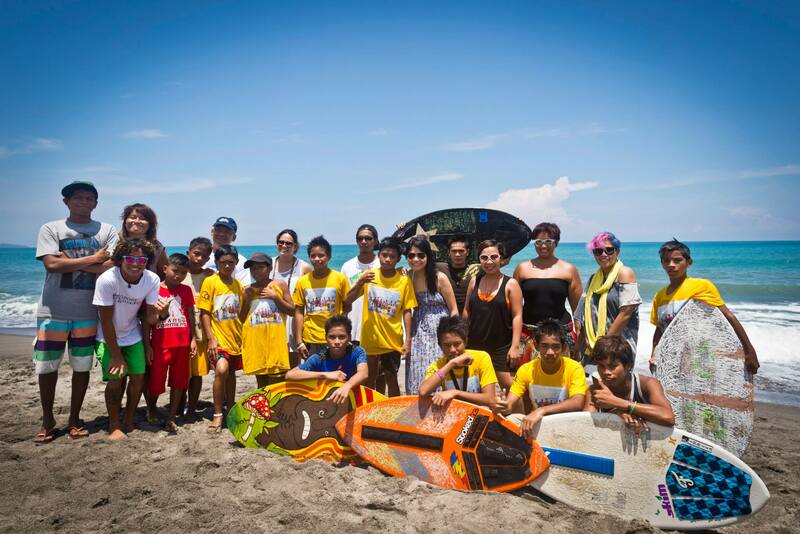 Hampas ng La Paz: “First Local Skimboarding Competition” (Part 8) – CREATE. PLAY. TRANSFORM. 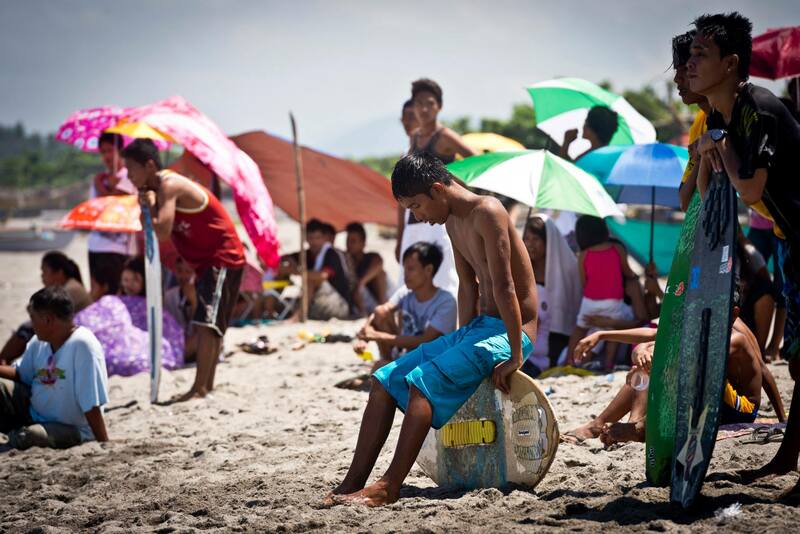 The locals of La Paz have been practicing their skimboarding skills for the competition. They are running faster, they drop their boards with more strength, and more confidence can be seen in their eyes as they glide on the surface of the water. What used to be a time of play, is now a competition. Not to make one better than the other, but to simply acknowledge their passion for this water sport. 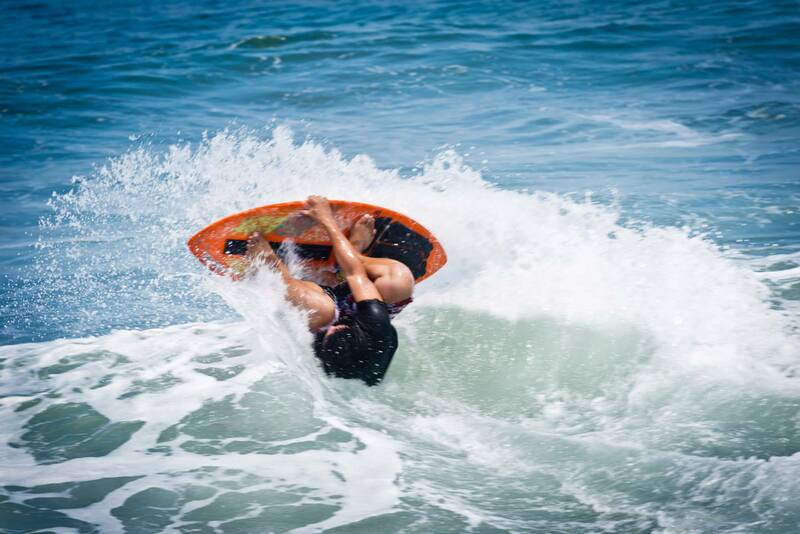 The first local skimboarding competition was born in July 27th, 2013. Neighbors, friends, barangay officers, and relatives in all ages witnessed a favorite sport these guys play every single day. “Hampas” is a Tagalog word which means, to slam against something. With their skimboards slamming against the water and vise versa, these guys run as fast as they can, to catch speed on land and on water. The Competitors arrive early with their board wax. With traction pads in place, they make sure, that sliding on their boards, is not an excuse in having a low score during the competition. 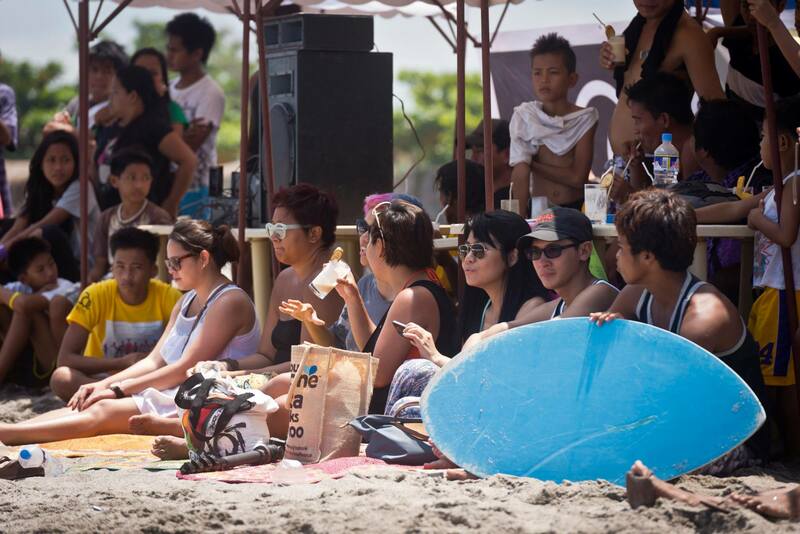 The competition begins and we wait patiently as each skimboarder take his turn. The locals cheer for their favorite player. 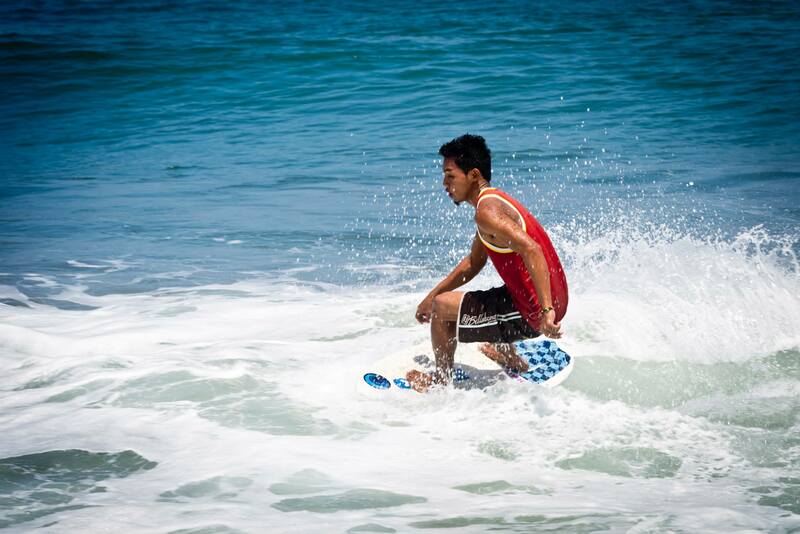 Skimboarding starts by waiting for the right wave to come. The competitors scan the sea from left to right and they run fast to catch a wave well. As soon as the judges announce, “Every drop counts!” The competitors enter the water with all the tricks they could ever show us. With a given time to rest, and while watching the others play, they catch their breaths. Kids from age ten years old joined the competition. 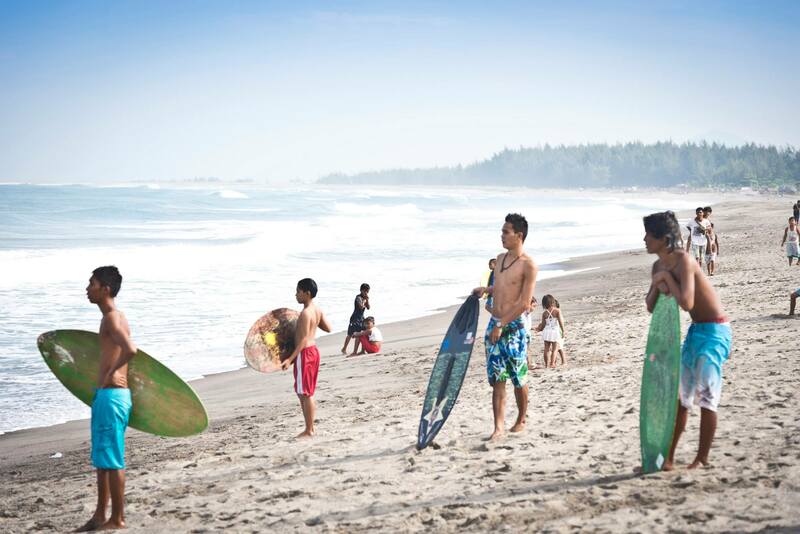 These are the kids who will try their best to ride a wave. And even if they don’t get in their first attempt, they will keep trying harder. Next year, they will be better players. One of them exclaimed, “If the adults can do it, we can do it too!” It’s so encouraging to see the little ones from age five and ten years old, watching the competitors play the sport. With boards that don’t even look close to a skimboard, they keep running and riding waves too. I will not be surprised if some of them will register for next year’s competition! Everything happened so quickly. 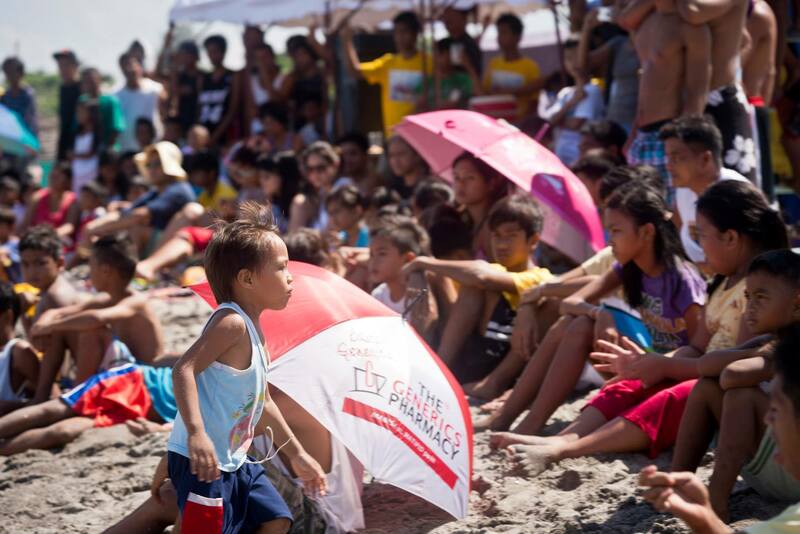 From bringing all the things to Villa Kiana Beachfront to gathering all the people for the competition. This is definitely the beginning of many events to come in La Paz. Special thanks to: Louie Abiva and Family for accommodating us at Villa Kiana Inn, The staff of VKI for helping us set up the beachfront area, The competitors for simply having a great time, Zambales Boardriding Association, and thanks to Clay Ave students and friends who came all the way from Manila to support this event. Victor and Gela Guerrero, thank you for your photography skills and graphics design skills too! Most importantly, Thank You, Creator of the sun, sand, and sea. If not for you, this event will not happen on a rainy week! Thank You for the favor you have granted for all of us: good waves and good weather! You heard every prayer uttered in your name. How generous of you to have blessed us! 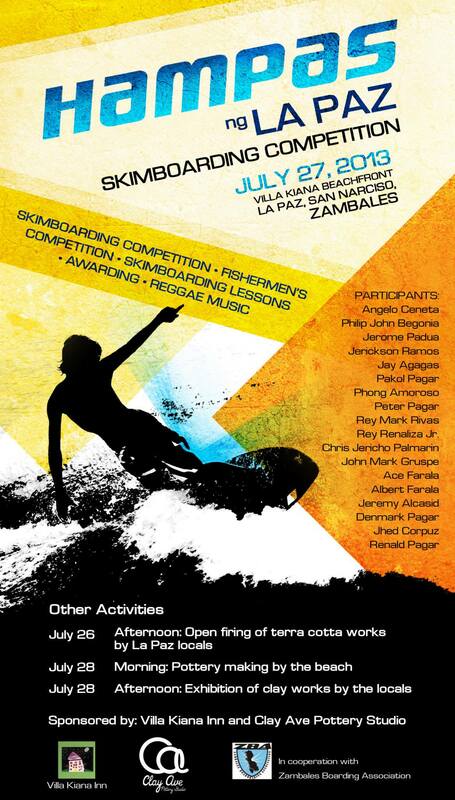 Hampas ng La Paz is going to be an annual event in skimboarding and pottery making in Barangay La Paz, San Narciso, Zambales. Up next: Clay time after the competition!